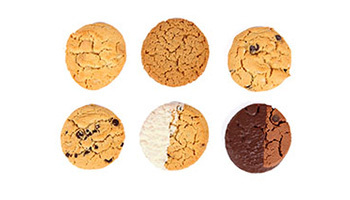 At Glenroy Bakery we love cupcakes and cookies, and we firmly believe that our wholesale cupcakes and wholesale cookies are more than just a childish treat. 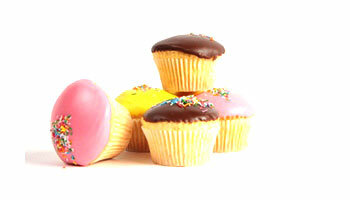 Of course children love them, but our freshly made cupcakes and cookies are an ideal morning tea snack for adults too. 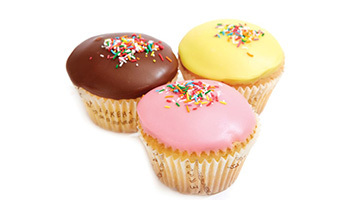 We bake three classic varieties of iced wholesale cupcakes – chocolate, pink and yellow – and an extensive range of wholesale cookies, including: ANZAC, double choc chip, white chocolate and macadamia, and much much more. At Glenroy Bakery our mission is to satisfy your sweet tooth with our wide range of sweet treats, including our wholesale muffins and wholesale cakes and slices. Contact us today on (03) 9312 8600 or enquire online at info@glenroybakery.com.au.